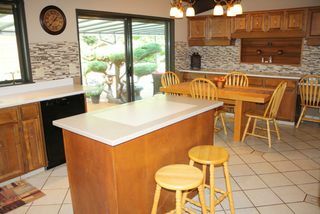 The kitchen features imported California travertine stone that was laid by hand. 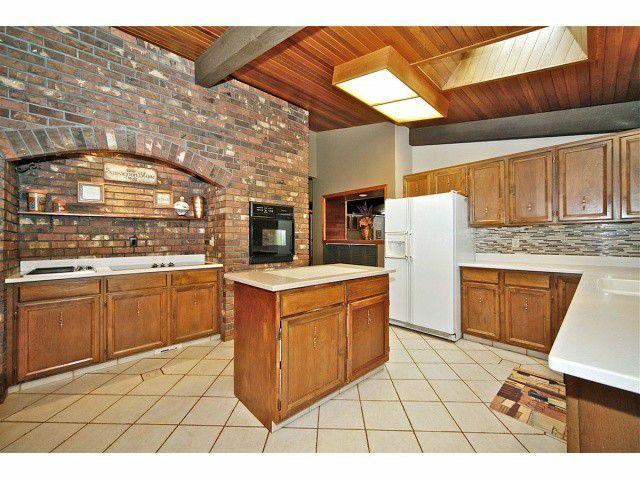 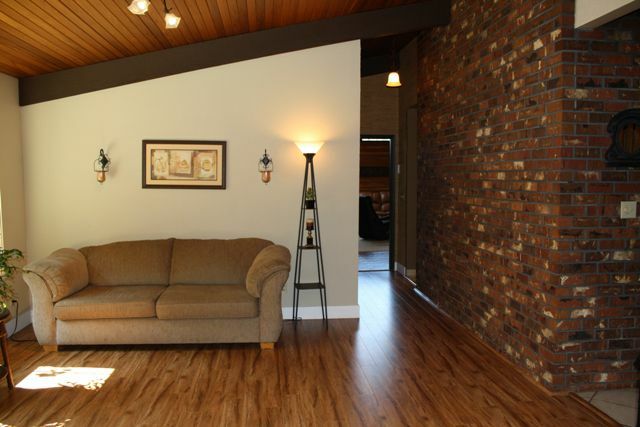 Brick feature wall houses a jenn-air grill, 5 burner stove & oven. 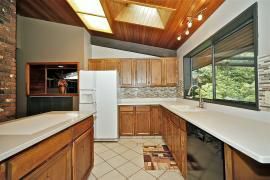 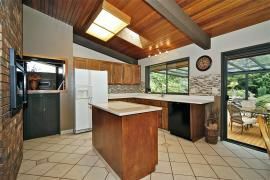 Complimented by designer tile backsplash & skylights, this workable kitchen also has an island and eating area. 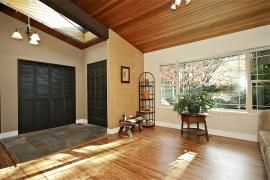 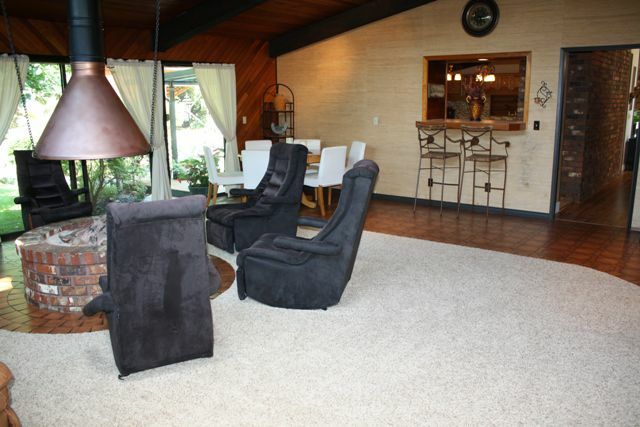 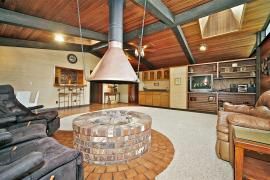 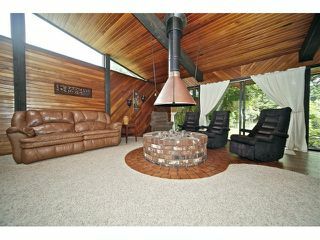 Designed with distinction, this is an entertainer's size living, dining and great room. 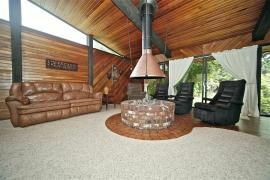 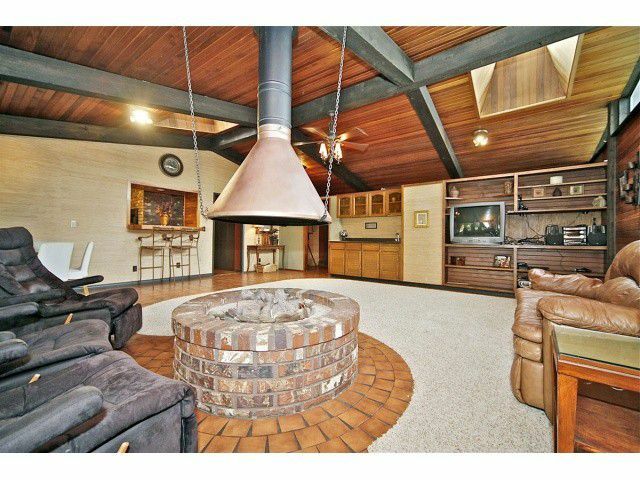 Spend cozy nights relaxing next to the centered fireplace. 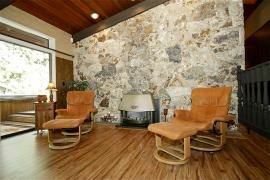 Travertine accent wall adds warmth and texture to this open space. 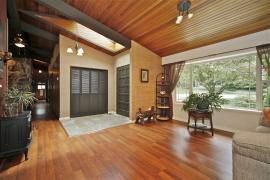 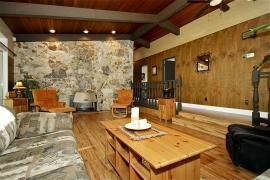 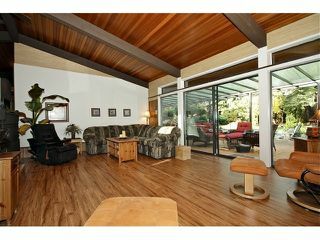 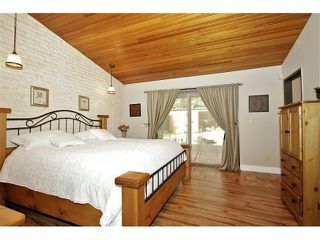 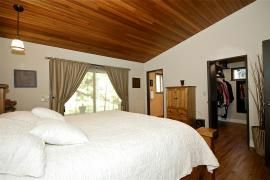 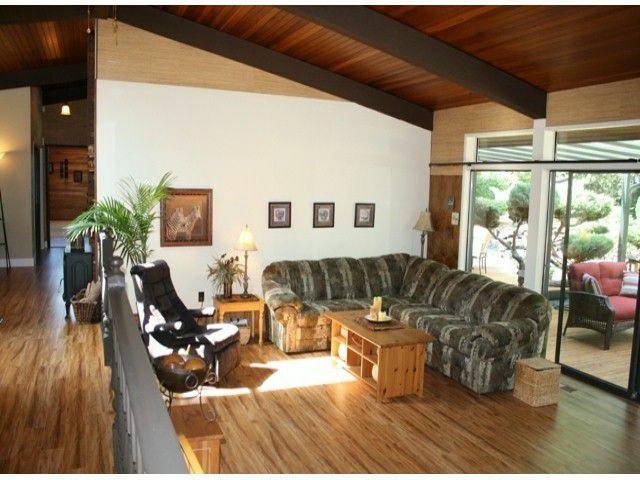 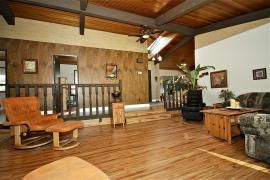 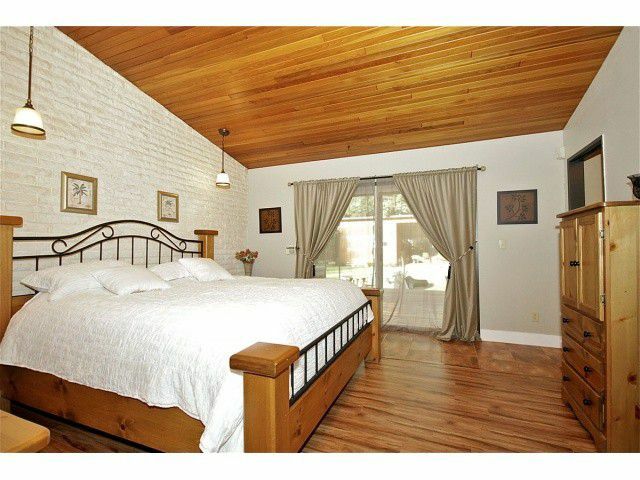 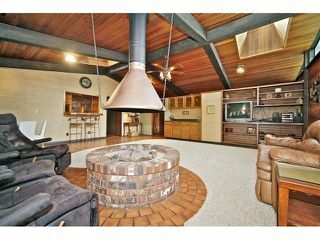 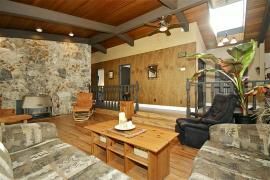 Rarely will you see such beautiful workmanship ~ these post & beam vaulted ceilings are made from deep, rich cedar planks. 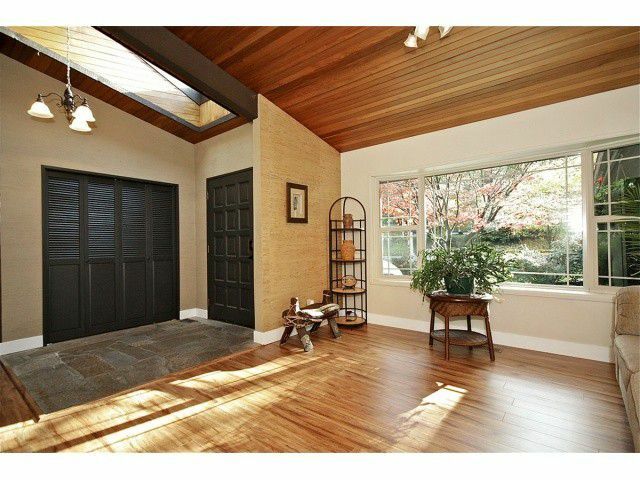 Surrounded with loads of large windows & skylights, this sprawling space is brightened with tons of natural light. 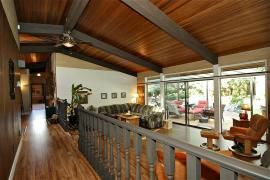 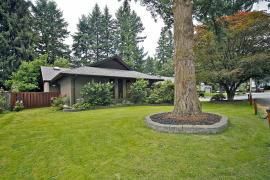 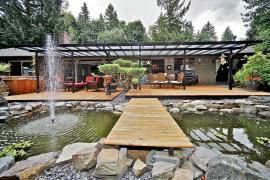 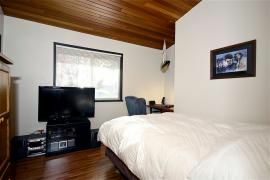 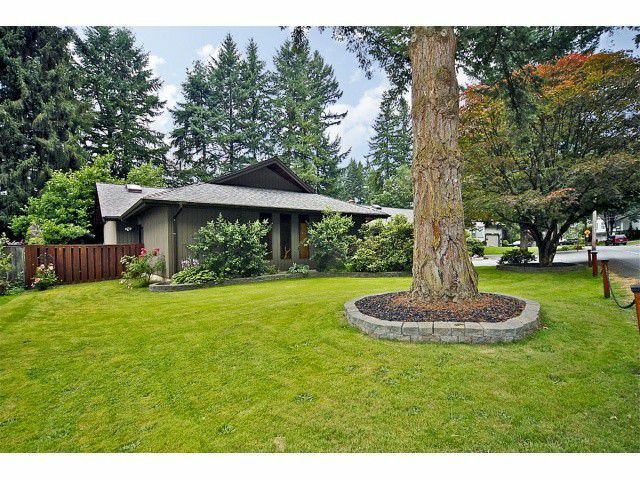 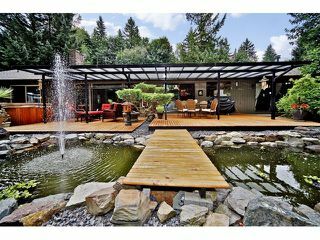 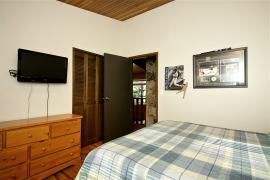 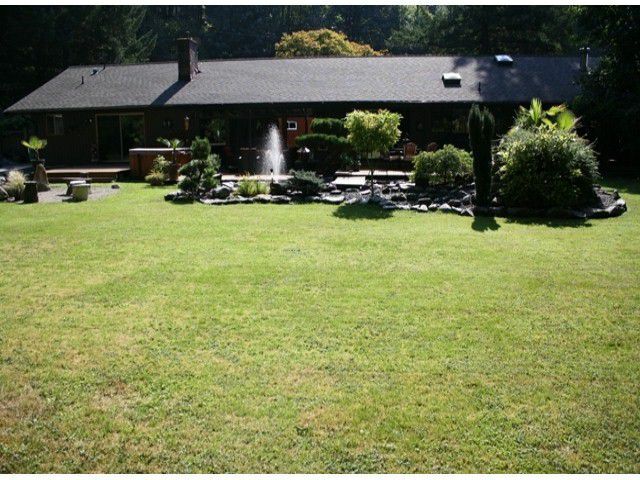 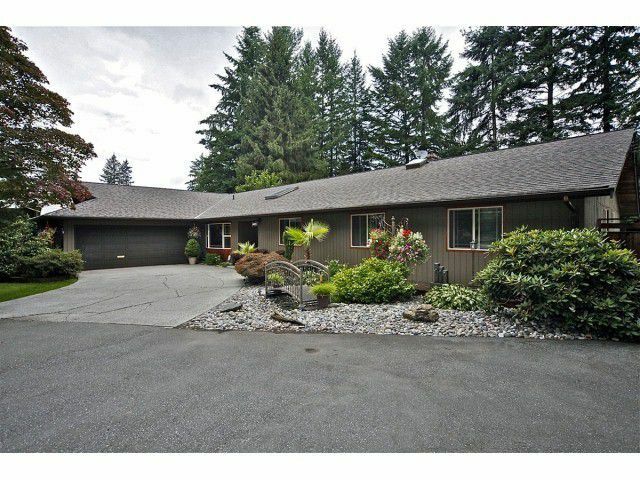 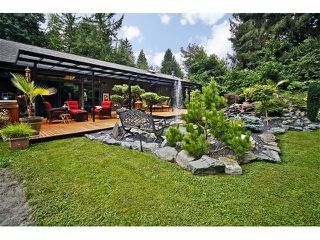 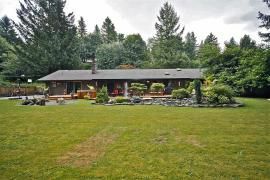 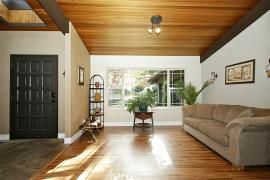 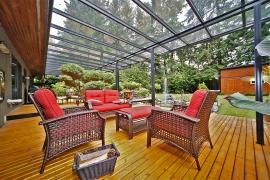 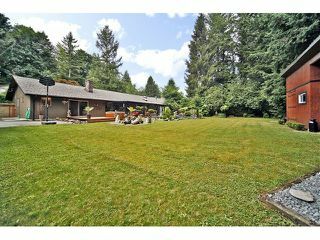 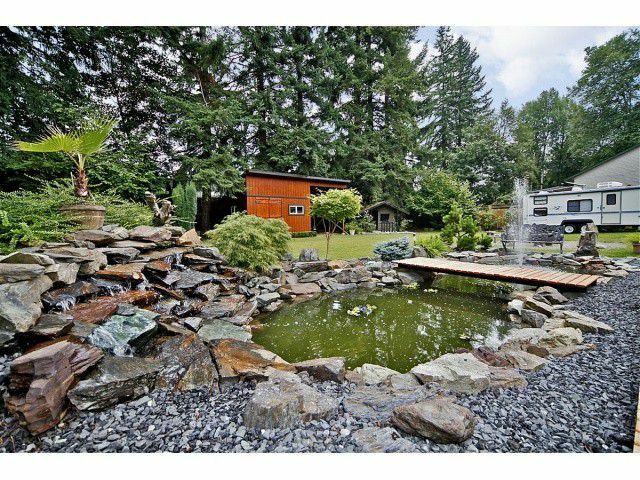 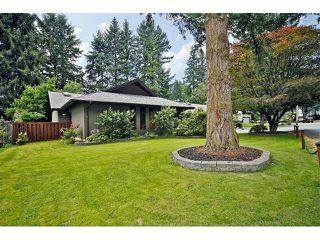 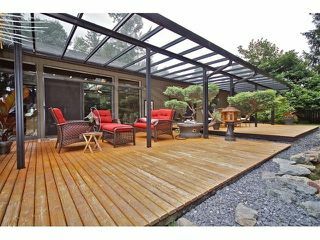 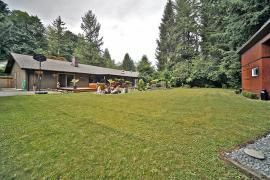 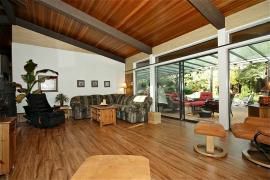 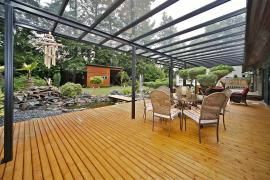 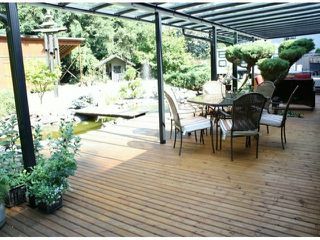 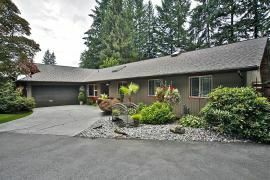 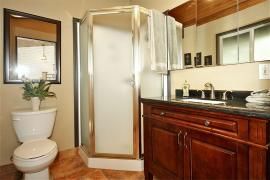 Floor to ceiling windows overlook a half acre of flat backyard that's backs onto forested area. The driveway was widened to maneuver an RV, large trucks, semi's, trailors or boats. 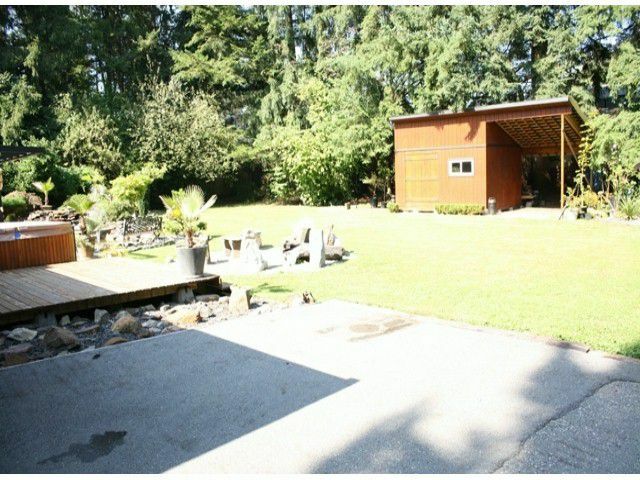 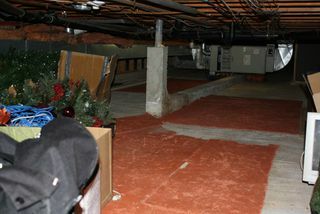 The owner also paved a 20+ ft wide parking space on the west side of the home to park them. 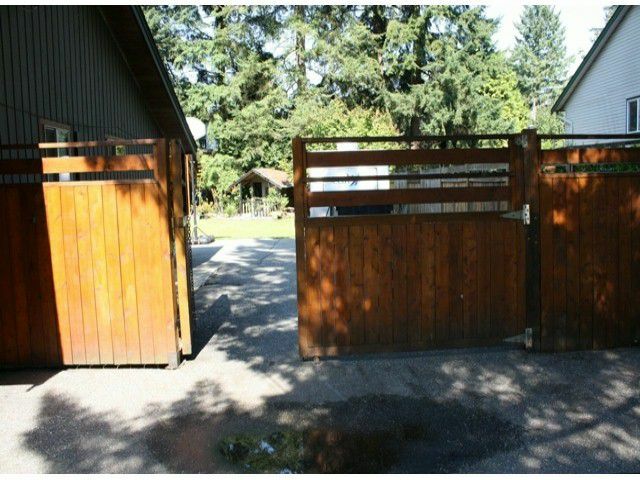 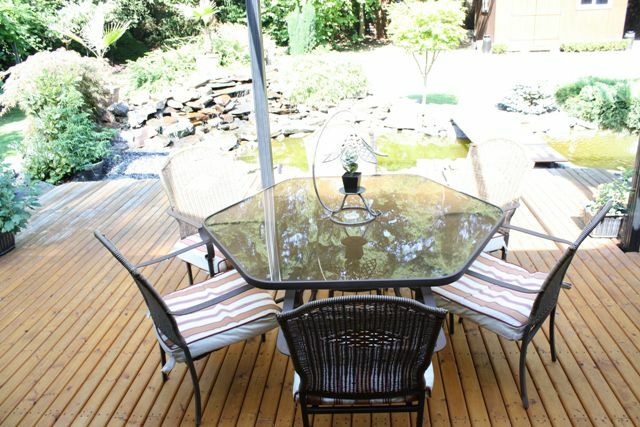 With convenient access to the backyard by a double gate, it is safe and secure. Landscaping is clean & simple, with low maintenance and great curb appeal. 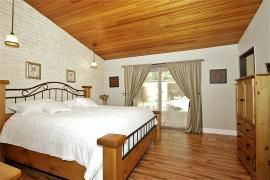 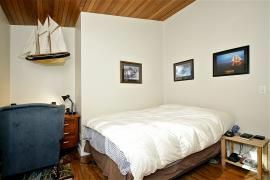 The ultimate, serene getaway right at your fingertips! 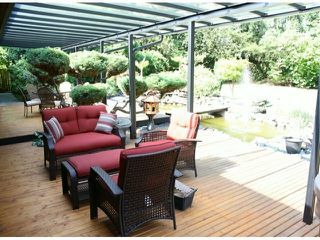 The new, customized, 40'x14' patio was built with high quality and beauty in mind. 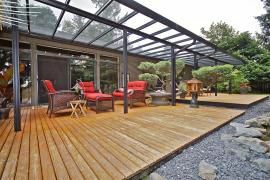 Covered with a glass roof it's the perfect place to sit out & enjoy the sunshine, or curl up in the evenings and soak in the stars & the tranquil setting. 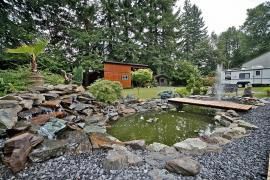 The lawns are perfectly manicured & the owner hand picked over 10,000 pounds of rock which gives foundation & design to the beautiful water features. 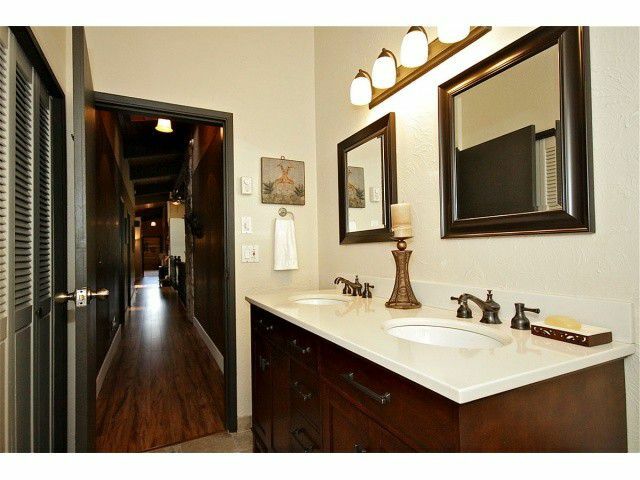 With this in mind, it's the perfect spacious setting for entertaining your guests. 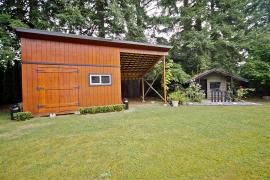 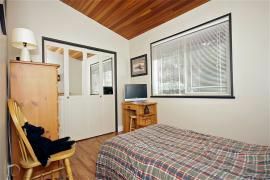 If what you need is a separate living quarters for your family member, student or tenant, there's enough space to simply convert the garage to a 600 sq ft suite. 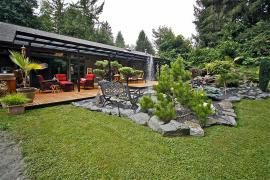 Zoning for this home allows for 40% building coverage, which means there's lots of extra room to build a secondary dwelling on the land as well. Workshops, barns, an in-law suite, if you can think it, you can build it! 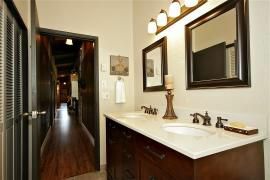 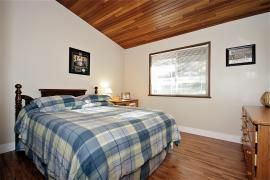 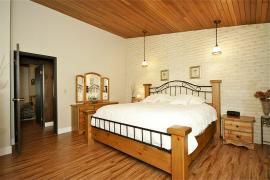 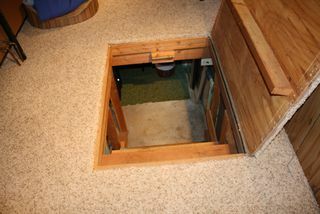 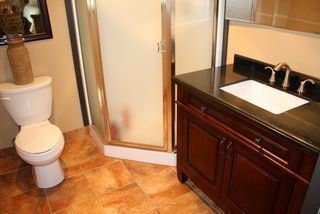 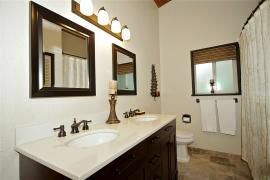 Being a rancher style home, adding onto it is easily done. 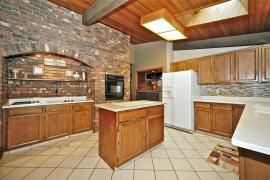 We know many reputable contractors who could provide a free estimate if you'd like to explore any of these building opportunities!